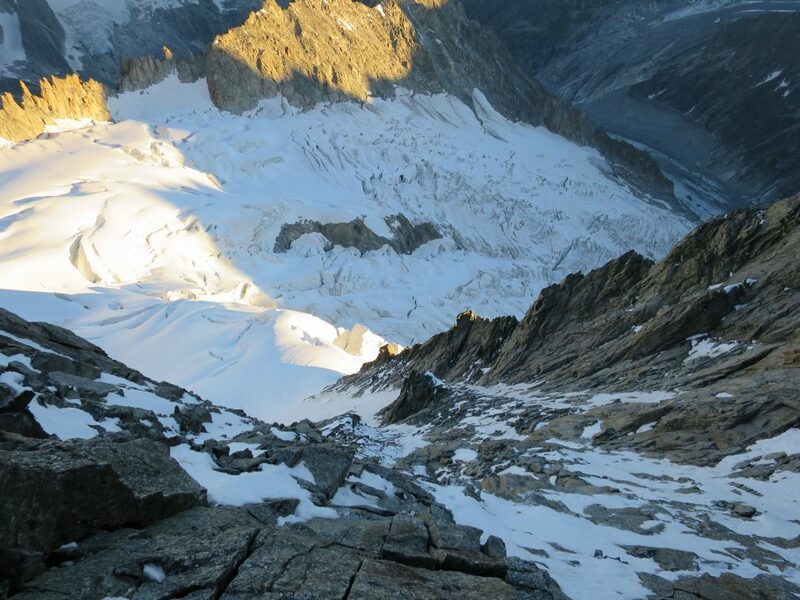 Ridge line between Col du Geant and Col du Hirondelles often catches your eyes and imagination. 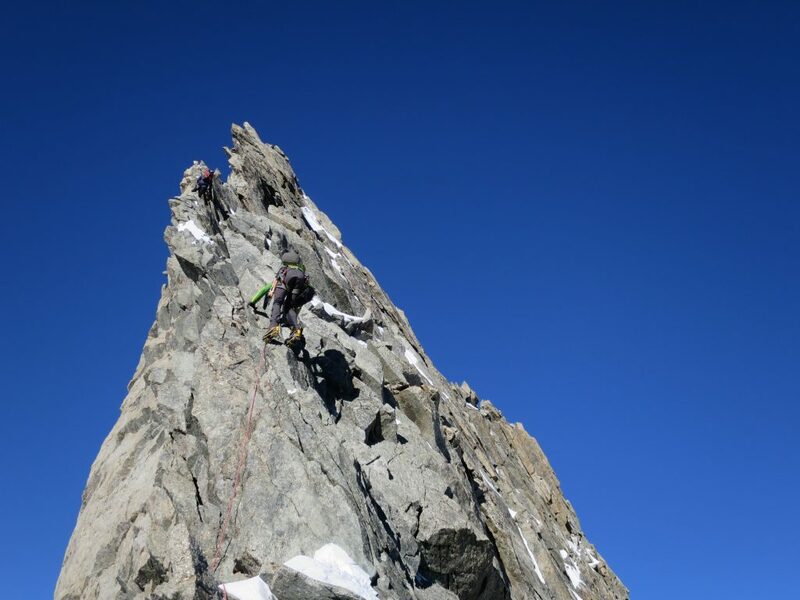 You have heard stories about the dizzying exposure, loose rock and challenging conditions on the ridge. 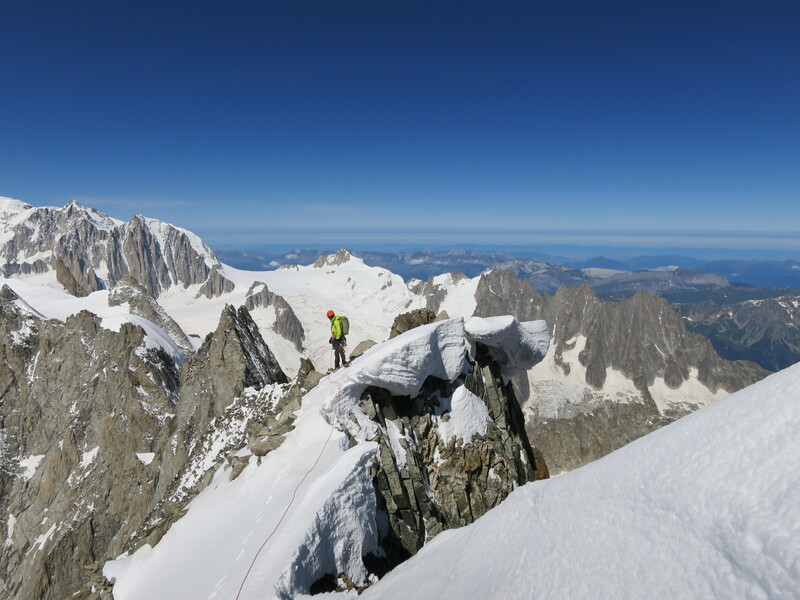 Altogether Rochefort – Grandes Jorasses traverse is one of the classic ridge climbs in the massif. It’s basicly a border line walk at high altitude between France and Italy. 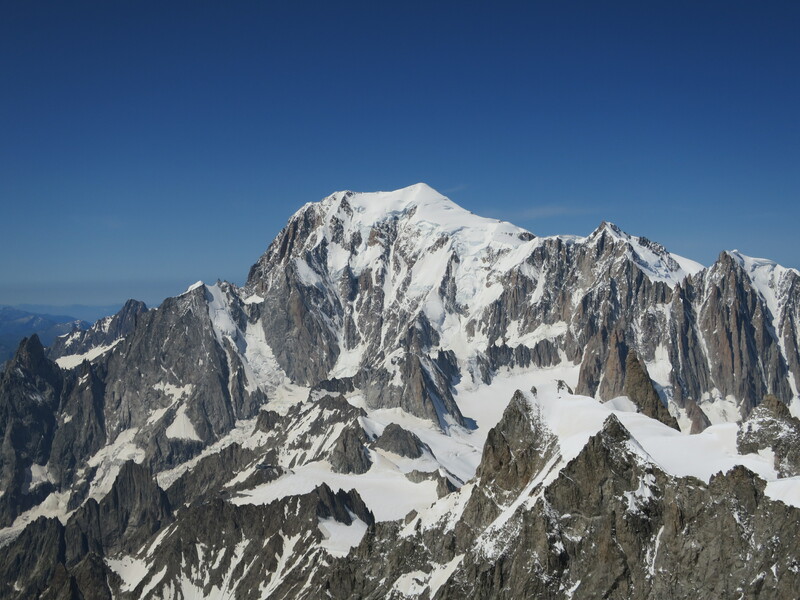 The most relaxed way to do it is to take the first lift of the morning to Helbronner either from Chamonix or Courmayeur. 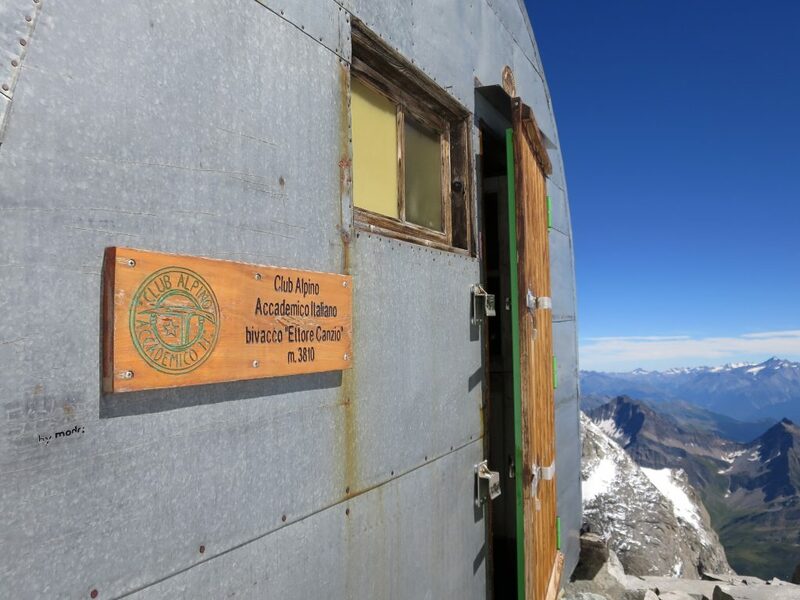 Then climb the Rochefort part of the traverse to the Canzio bivouac hut which is located at Col des Jorasses. No sleeping bags needed due to amount of blankets. 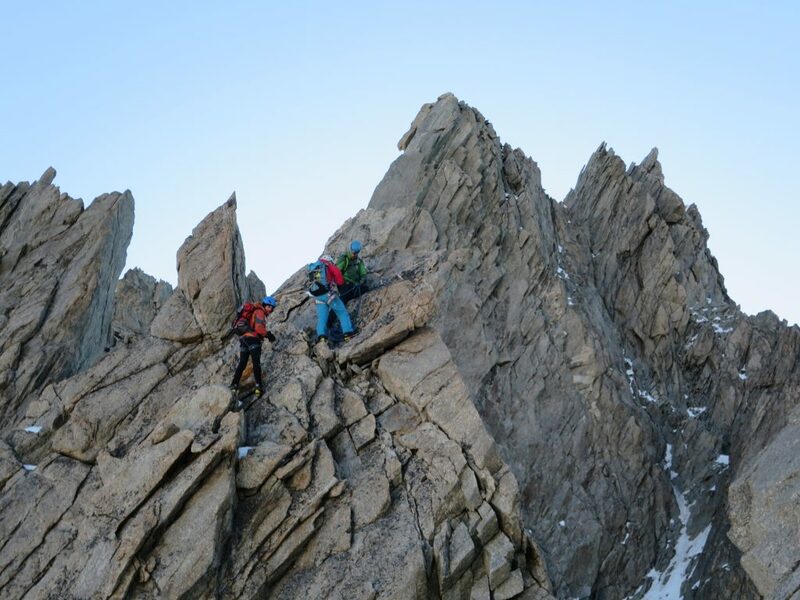 On the second day start early to climb the Jorasses part of the traverse. You should be able to summit Walker in 8 hours if conditions are good. It took us 6,5h. Descent via the normal route to the Boccalatte refugio can be a nightmare. Last time I did it in the dark in 7 hours. Now in a daylight 3 hours was close. There’s a guardian at the refuge, so make sure to book beds for the night. He’s probably the friendliest guardian ever, though. I’ll tell the story with pictures this time, but as a gear-wise, 50m single rope is enough. Belays on the hardest pitches on Pointe Young are bolted and also the Rochefort traverse is fully equiped. Light weight rack will do. 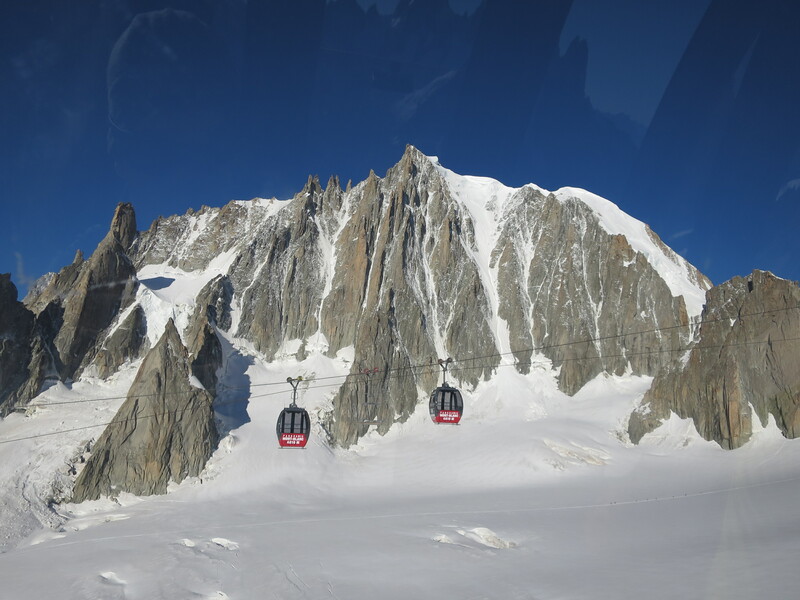 Expensive cable car ride over the Vallee Blanche. I try to avoid this usually. 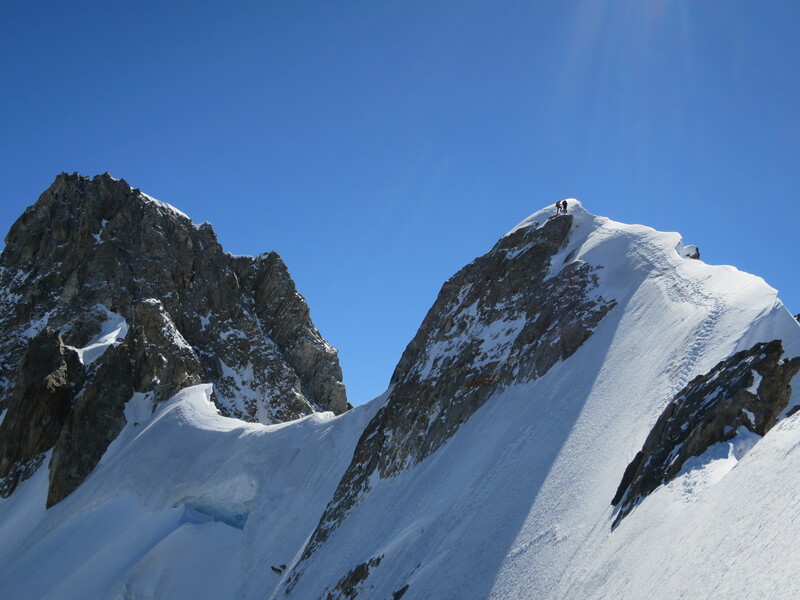 The real ridge climbing starts after the Dent du Geant. Good track allowed quick progress. Loads of people on the ridge. 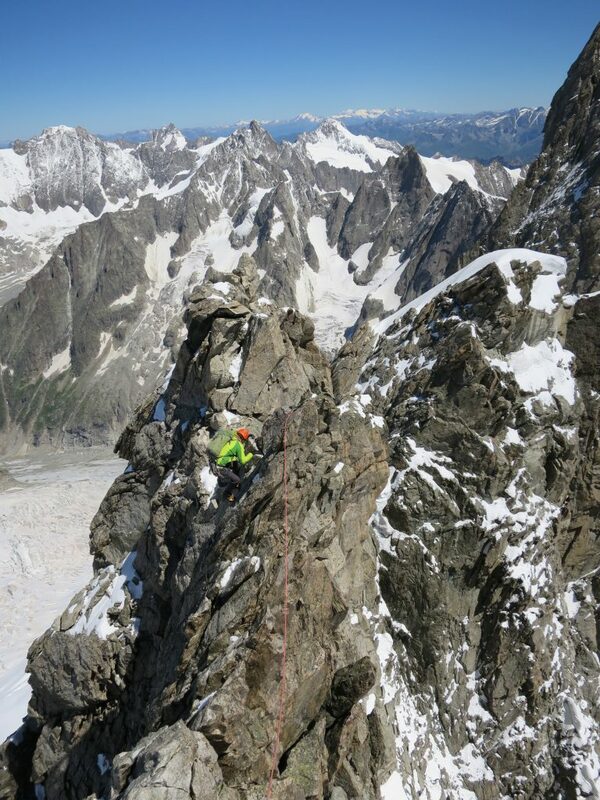 After Aiguille du Rochefort we passed three parties to make sure we get beds. It’s all about tactics you know. Wise move in the end as 17 climbers is a bit too much for the 8 men bivy. Some had to sleep outside. Between Dome du Rochefort and Calotte we found nice rocky sections. 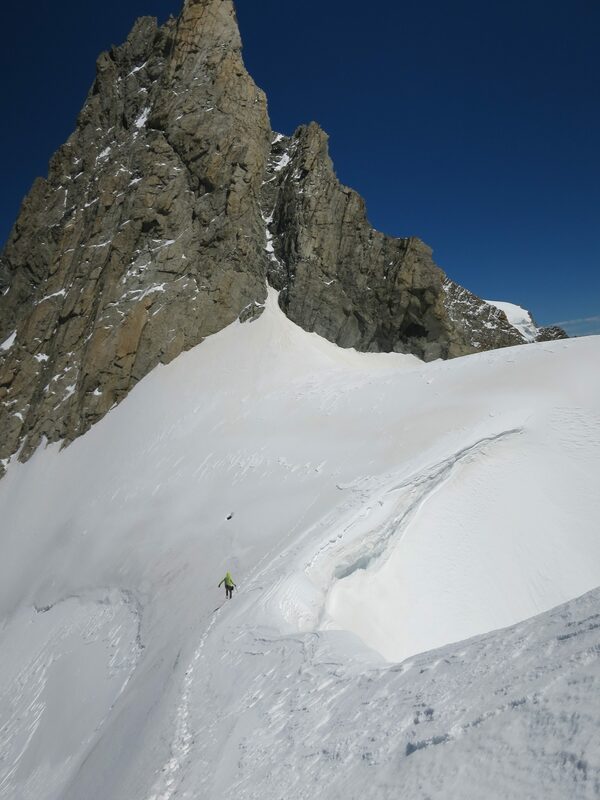 Tim heads towards Col des Jorasses. 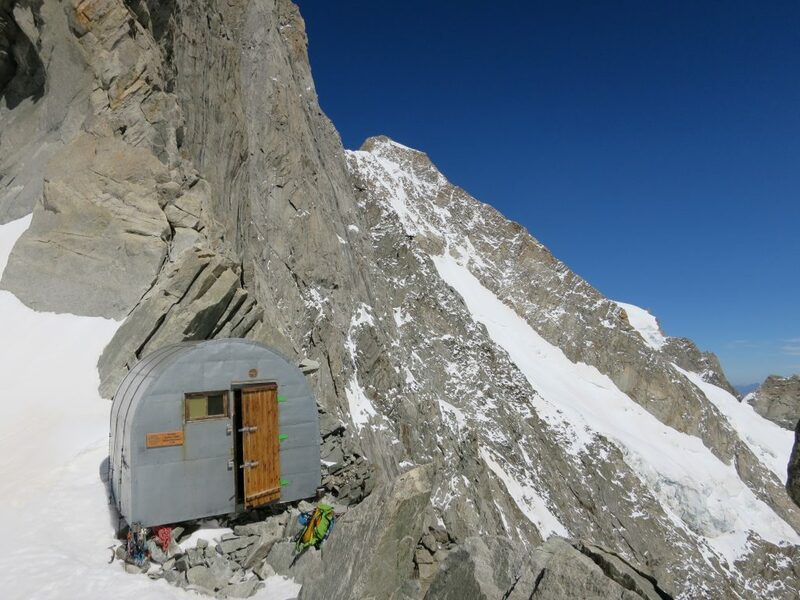 Canzio bivouac at Col des Jorasses. Canzio bivouac. No need to carry sleeping gear. 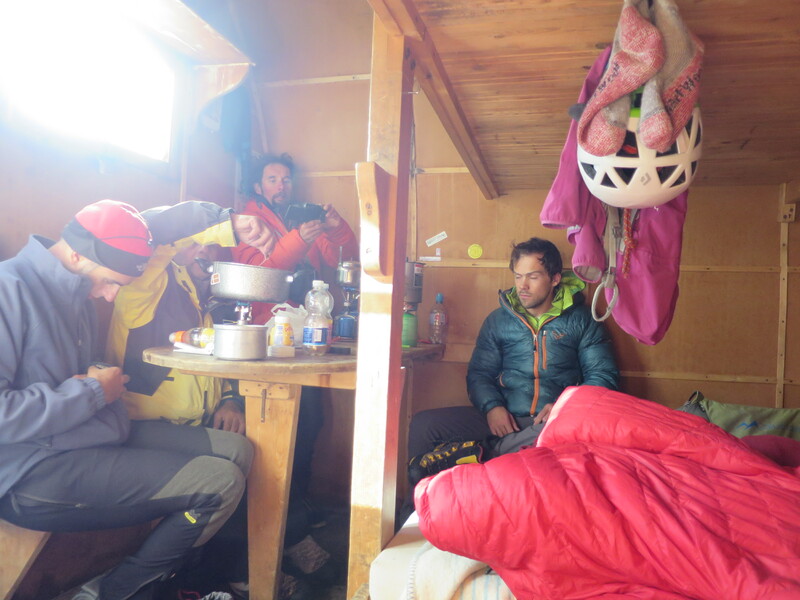 Enough warm blankets in the hut. Probably the busiest night in the history of the bivy. 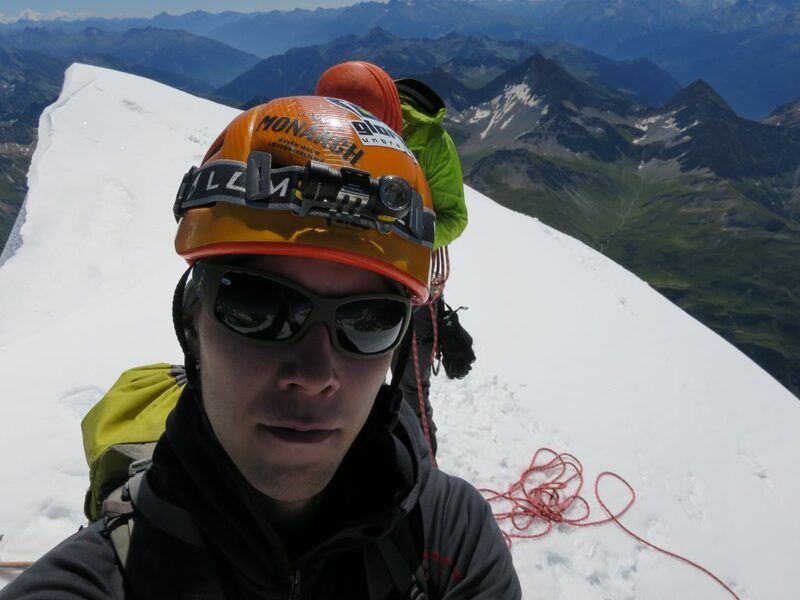 17 climbers. Dry rock at Pointe Young in the morning. 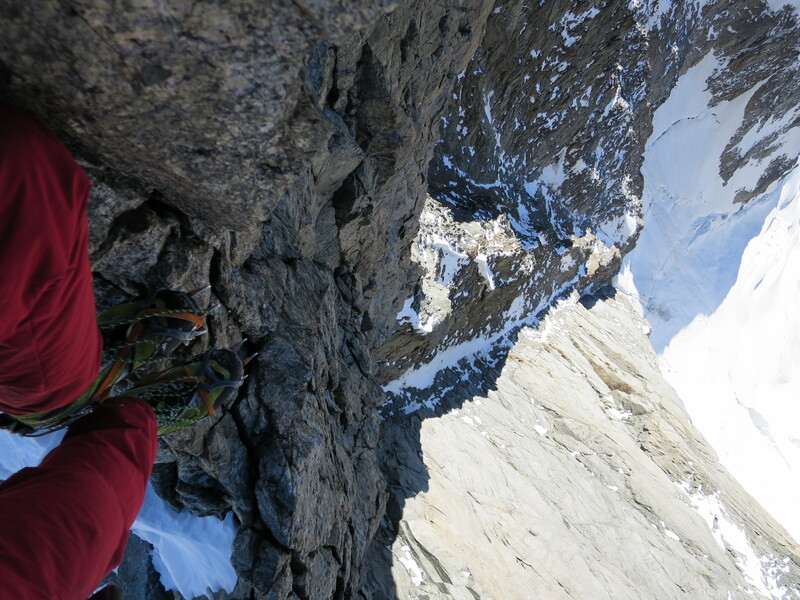 Looking down the N face. Stoked for the upcoming mixed season. I’ve got a good feeling about this year. N face, we’ll meet again. Very soon! 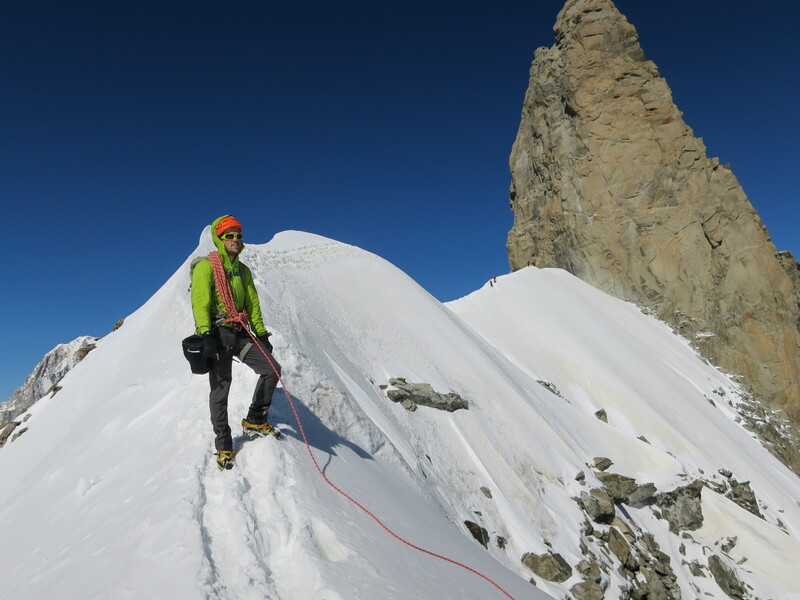 Tim climbing down from the summit of Pointe Marguerite. Exposure. Actually I expected more airy moments. 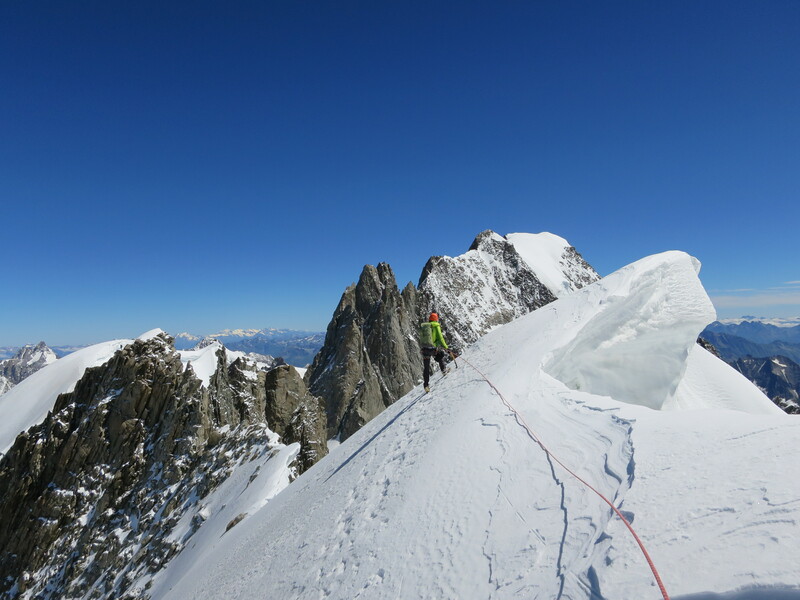 Climbing gets easier after Pointe Croz. Also quality of the rock reduces. Walker! 6 new 4000ers bagged! The playground. So many good memories, but so much to do.